An app buried in the second beta for Android Q has yielded great results for those who are overly concerned with theme options native to Android. Thanks to XDA, we now know that Google is working on a dedicated app called Pixel Themes, capable of switching accent colors, fonts, and icon shapes. The following information aligns perfectly with what was previously discovered in the first beta from March. Inside the Developer Options menu, you could already change your UI’s accent color to Black, Green, or Purple. 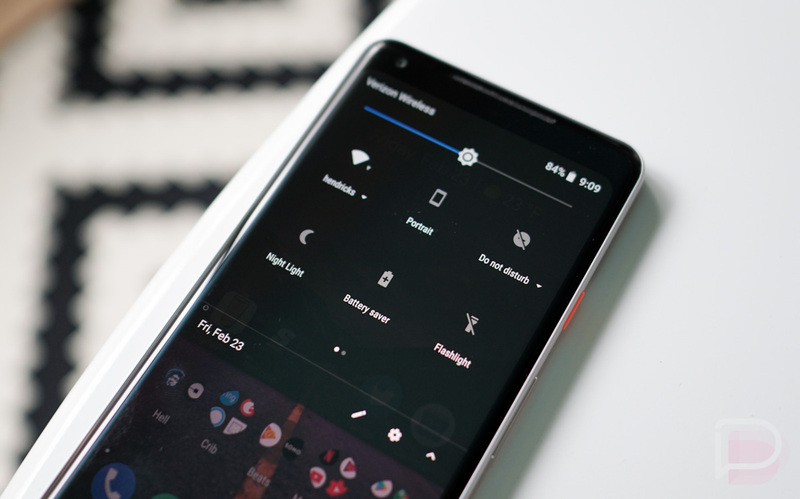 It appears now that the effort to theme your phone will be done entirely with an app and not a dedicated Settings menu, but how Google intends on making it available when Android Q goes public remains to be seen. Anyway, here are the details from XDA concerning the themes. This is all fine and dandy, but how hard could it be for Google to enable an entire color wheel for folks to choose a color from. If not that, then how about some red, orange, or other various colors? Point being, while this is a fantastic step in the right direction, it still doesn’t seem very comprehensive. And yeah, we’re still waiting on a system wide Dark Mode for Android Q.